At the daily chart of the EUR/USD currency pair the price has broken “triangle’s” lower border, however, we shouldn’t expect it to continue falling down from the current levels. The RSI indicator was supported by the trend’s ascending line and tested an “oversold zone”. All these factors can lead to the correction of the price into the area of 1.3050. There are no signs of a reverse at shorter time frames so far. 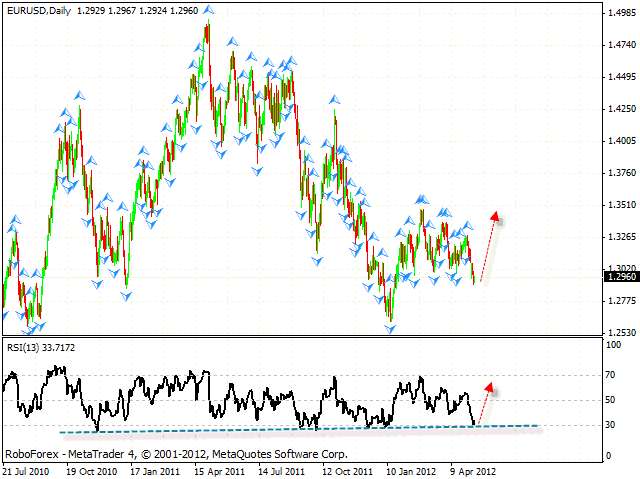 One can consider buying the pair aggressively after the price breaks the level of 1.2970. 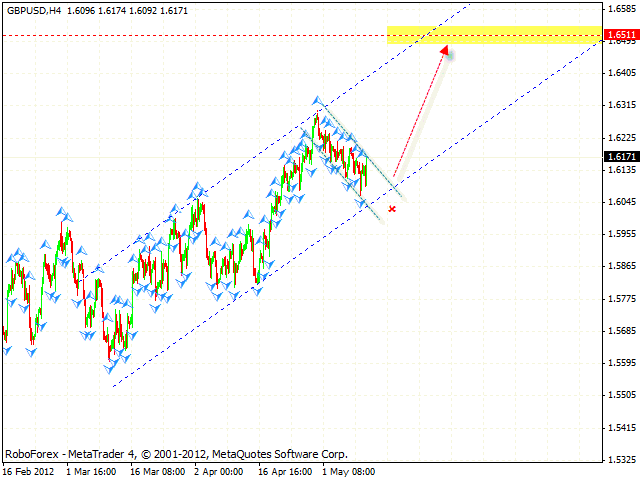 The GBP/USD currency pair is still moving inside the ascending channel. Pound has already tested the area for purchases and may continue growing up. The target of the ascending movement is the area of 1.6510. Aggressive traders can consider opening long positions from the current levels with the stop below 1.6085. Conservative traders are advised to wait until the price breaks the descending channel’s upper border at the H4 chart. If Pound falls down lower than 1.6020, this scenario will be cancelled. The test of the trend’s ascending line at the RSI is an additional signal to buy the pair. 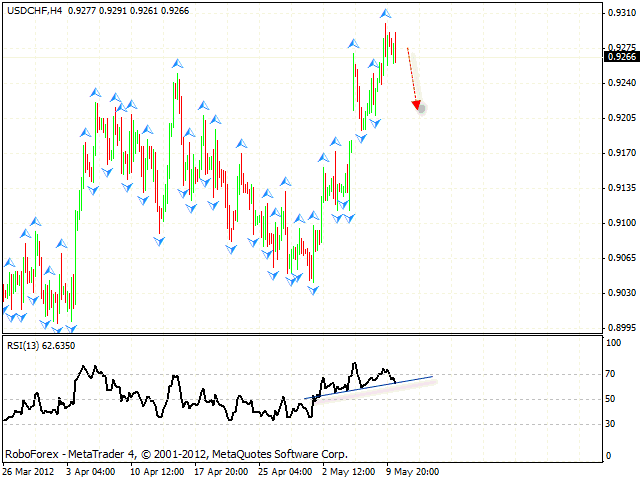 The USD/CHF currency pair is testing a very strong resistance level in the area of 0.93. We should expect the price to be corrected from the current levels. Also, we can see several reversal signals in the form of divergences at shorter time frames. 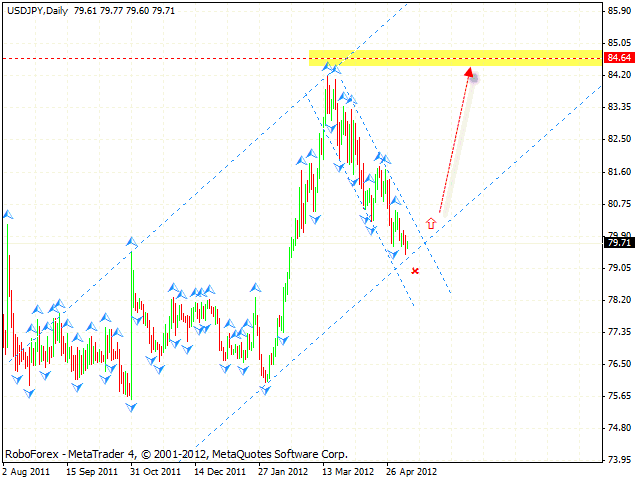 One can consider selling the pair with the stop above 0.9295 only after the price breaks the level of 0.9255. The closest target of the growth is the area of 0.9195. For the first time after quite a long correction the USD/JPY currency pair has tested the ascending channel’s lower border. The target of the pattern is the area of 84.60. One can consider buying the pair aggressively and opening long positions from the current levels. If the price breaks the level of 80.55 and leaves the descending channel, it will be a strong additional signal to buy the pair. Despite the fact that Canadian Dollar is moving upwards, the currency pair is still under pressure. At the H4 chart the price has broken the trend’s ascending line at the RSI, we should expect the test of the similar line at the price chart - it’s the area of 0.9890. 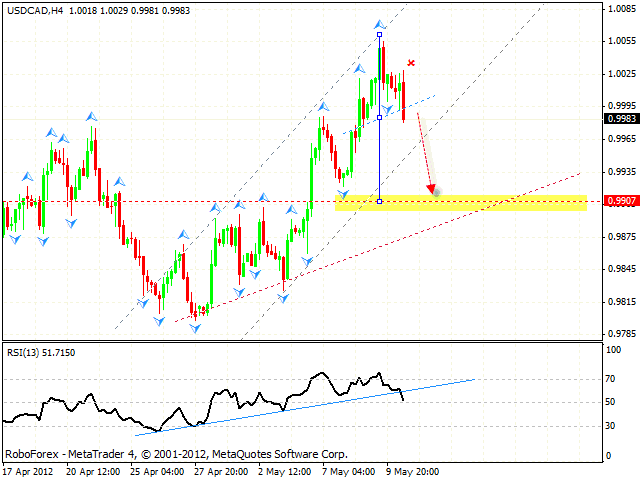 The H1 chart of the USD/CAD currency pair also indicates that the pair may start falling down. One can consider selling the pair aggressively from the current levels with the stop above 1.0030. The closest target of the fall is the area of 0.9910.